NuGet Gallery | Packages matching Tags:"ID3"
20 packages returned for Tags:"ID3"
Portable Library for developing universal apps. A .NET library extracts album art from metadata such as FLAC, ID3, etc. TagLib# is a library to read ID3 and other metadat format from files. This is a popular metadata format for audio/video files to extract artist/title/album art. This is an implementation of TagLib# forked for forward progress using .NET Portable profiles. ID3.NET is a set of libraries for reading, modifying and writing ID3 and Lyrics3 tags in MP3 audio files. 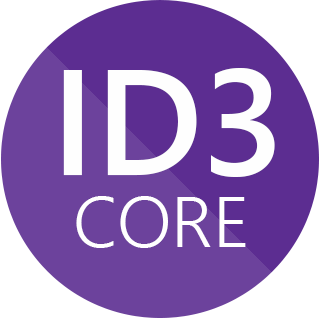 ID3.NET is a set of libraries for reading, modifying and writing ID3 and Lyrics3 tags in MP3 audio files. This package provides utilities for file handling. ID3.NET is a set of libraries for reading, modifying and writing ID3 and Lyrics3 tags in MP3 audio files. This package provides extensions to serialize ID3.NET objects using the IFormatter-based serialization classes. ID3.NET is a set of libraries for reading, modifying and writing ID3 and Lyrics3 tags in MP3 audio files. ID3.WinForms provides extensions to ID3.NET to support image handling using the Windows Forms image classes. See the project site for documentation.